The Land of Ice and Fire, straddling the North American and European continents is a place like no other. Home to the oldest parliament in the world, some of the most spectacular natural wonders you can imagine and known for producing many experimental musical artists, Iceland is a place not to be missed. Start here with my basic Iceland travel tips, or jump down below to read my latest Iceland travel blogs. In Iceland the weather is never predictable so come prepared! Despite its name, the island doesn’t actually get that cold around the coastal area (where most of the settlements are), but it can be extremely windy. Coming in the summer, you’ll get barely any darkness at night due to its latitude, and conversely in the winter, the sun may only be up for 3 to 5 hours a day. If it’s a view of the Aurora Borealis, or Northern Lights, you’re after, September to January is the time to visit, though you’ll have to keep your fingers crossed for a clear sky. Besides that, there are several annual events worth coinciding your visit to Iceland with. In late May, the Reykjavík Art Festival takes place, highlighting new performances, exhibitions and installations all over the city. In mid August, the Culture Night is a free, city-wide event of cultural programs from museums, theaters and other cultural institutions that ends each day with fireworks over the harbor. In late October or early November every year, Iceland Airwaves is one of the world’s premier showcases for new music and features new and upcoming talent from Iceland and all over the world as well as established performers. Thingvellir National Park – The area of Thingvellir is basically a giant fissure between the tectonic plates and you can see the boundaries of the earth’s crust and the national park sits between two tectonic plates—those for North America and Eurasia, so you can literally stand between two continent! The Blue Lagoon – Soaking in the milky blue waters of this iconic Icelandic sight while sipping a drink from the swim up bar after a long day of sightseeing is the perfect way to experience Iceland’s marvellous nature. 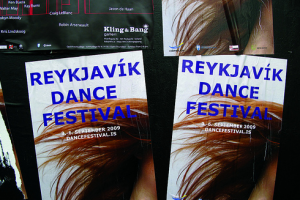 Reykjavík’s nightlife – No trip to Iceland would be complete without spending a night out in Reykjavík. Though it’s a relatively small city, the intensity and vibrancy of the nightlife options in the Icelandic capital is on par with huge metropolises like London and New York, except that most places don’t charge a cover fee and don’t have queues—best of both worlds! Road trip through Iceland — In an island as remote as Iceland, sometimes the best way to explore is to just get on the open road and go. Planning an Iceland road trip on a budget takes some work, but it’s one of the best ways to experience the natural beauty of the country. Iceland is the perfect place to take a tour. With very little public transport between towns, getting to the main natural landmarks around the country either requires hiring your own vehicle or going on a tour, and the latter option is almost always going to save you money. 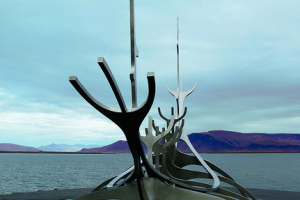 Take a look at this selection of Iceland tours. Iceland, like most other Scandinavian countries, is a gay paradise. In 2009, they had the first openly gay head of state of any nation in the world and in 2010 introduced marriage equality. Here are some of the gay highlights you should know about visiting Iceland. Reykavík Pride – The only pride parade in Iceland, which attracts almost a third of the country’s population each year, takes place every August and is a highlight of the city’s gay calendar. Not only is there a city-wide parade lead by the mayor (who often turns up in drag!) but many events, film screenings, workshops and seminars leading up to it. Kiki – Reykjavík’s gayest club is rainbow themed (read: hard to miss!) and guarantees a fun and friendly night out dancing with good music. Samtökin 78 – This LGBTQ center in downtown Reykjavík organises demonstrations, vigils and other activist gatherings and is very much open to foreigners. Accommodation is likely to be your biggest expense for a trip to Iceland, so finding bargains will help your funds go further! I’ve found that using Booking.com, Agoda.com or Hotels Combined is a great place to start and can be really useful for finding some amazing last-minute deals.